Erin: Yes, I love putting together information on the history of the home and the owners. I present the provenance of the home in a brochure and during tours of the home. 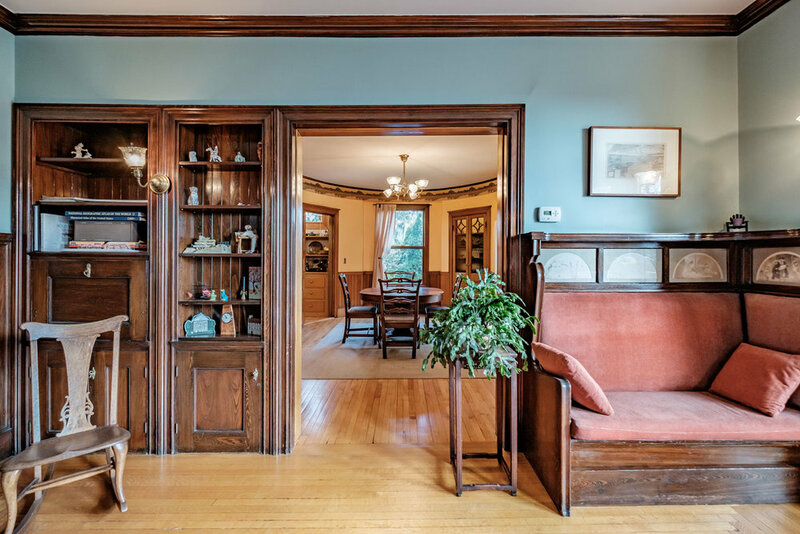 The history of the home, a framed photo from the 1924 tax record, or a couple of relevant books from Greater Portland Landmarks can make great closing presents as well! Erin: With many of my listings, I haven’t found it necessary to have an interior designer. Many historic home owners put a lot of energy into designing and decorating their homes. However, if the style or décor of the home is too particular to one era or is done in such a way that buyers would be turned off, bringing in stagers or interior decorators has been shown to enhance value and hasten a sale. Erin: One should expect the renovation process to be one of deliberation, perseverance and patience. At the beginning of your process, it is worth consulting with Greater Portland Landmarks as well as architects experienced in historic districts and homes. They will be able to give you a sense of what can or can’t be done in a historic district but also what might decrease or enhance the integrity of the home. It is also fun to do some research into the décor of the era of the home, maybe wallpaper that was in vogue or the light fixtures of the time. Bradbury & Bradbury wallpaper gives you a sense of how people of each era decorated their homes and is so fun to look at. You will quickly realize that people used to be much more bold in presenting their homes: no gray cabinets or white countertops back then! Thanks, Erin, for sharing your process! If you have real estate related questions about your older property, be sure to visit Gardner Realty Group at the 2019 Old House Trade Show—and stay tuned for more realtor themed blog posts coming this week. The 2019 Old House Trade Show will be held March 30th and 31st at the Holiday by the Inn in Portland. Tickets purchased in advance are $2 off.